Hi, It's me, Dana. And, I currently live in Hartford, C.T. I'm not quite sure what you are asking? 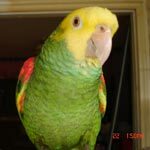 Are you looking for a roommate to split rent with or someone to rehome your parrots to? Dana, run an add in the area you are looking for. I am sure there are others in that area who are in need of the same thing.